Like Simon Curtis’ s film My Week With Marilyn, director Anton Corbijn’s handsomely made film Life offers a glimpse into a slice of iconic screen legend James Dean’s life, a couple of months before his untimely death on the 30th September 1955 as seen through the lens of acclaimed photographer Dennis Stock. 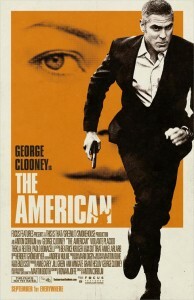 Corbijn’s films including The American and A Most Wanted Man are considerably measured in approach and give the actors a chance to inhabit their characters on screen. The casting of Dane DeHaan (The Devil’s Knot, Lawless) as the reluctant star James Dean and Robert Pattinson (Cosmopolis, Twilight) as the struggling photojournalist Stock who sees in Dean a potential symbol for the rising counter-culture in the American society exemplified in the Beat Generation especially writers like Jack Kerouac and Allen Ginsberg who become infamous in the latter years of the 1950’s. DeHaan who also starred as Lucien Carr in Kill Your Darlings, which also focused on this particular era is beautifully cast as the selfish, enigmatic and moody James Dean who is literally on the cusp of fame. 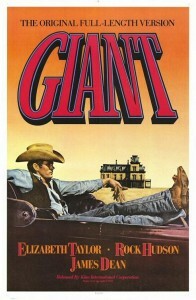 Life, which takes place in 1955, as Dean has just starred in Nicholas Ray’s film East of Eden and is on the brink of getting the part in Rebel Without a Cause. 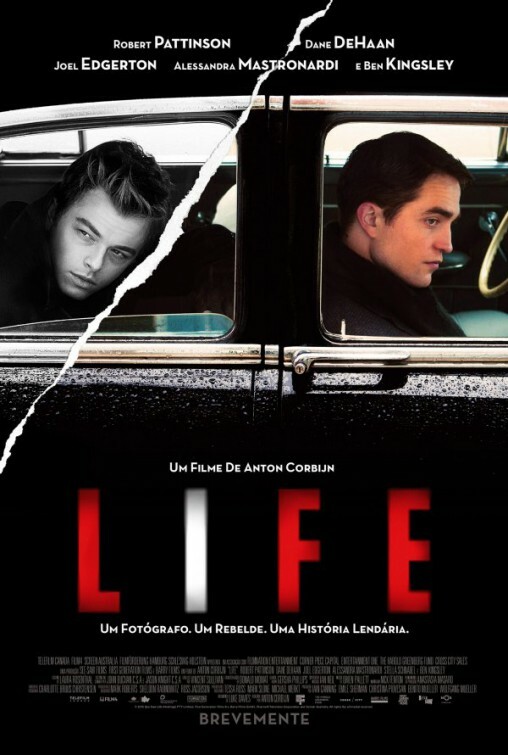 DeHaan intensely inhabits the role of James Dean and Pattinson is brilliant as the struggling photographer Stock who on a whim decides to follow his itinerant subject from Los Angeles to New York and then to his home town of Marion, Indiana. DeHaan superbly shows James Dean’s reluctance at being controlled as he mysteriously leaves New York to visit his relations in Indiana, not before Stock poignantly manages to capture that iconic black and white image of James Dean, wearing a trench coat, strolling nonchalantly through Times Square New York in the rain, smoking a cigarette. 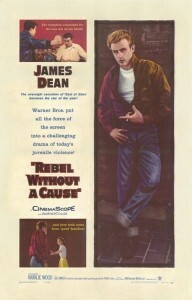 Whilst the script of Life is by no means as witty as My Week with Marilyn, causing the narrative to meander considerably in the middle act of the film, it does offer viewers a glimpse at an enigmatic superstar who after three films become such a Hollywood icon just as his life was cut short in a fatal car crash: Life of James Dean. Ironically Dennis Stock’s images of James Dean were immortalized much like the star he was photographing. Audiences should look out for cameo appearances by director Julian Schnabel’s daughter Stella Schnabel as Norma and Italian actress Alessandra Mastronardi as Dean’s initial love interest, actress Pier Angeli along with Joel Edgerton as John Morris. What is clearly emphasized in Life, was James Dean’s ambition to be an actor which he was passionate about without wanting to participate in his film’s publicity, premieres and red carpet obligations that he would notoriously shy away from. Watching Life in a 21st century, celebrity obsessed context, James Dean would never have survived had he been born half a century later, despite his immense talent and gorgeous baby-faced good looks. Life is a fascinating portrait of two men, of subject and photographer, who both at some point realize that their unique friendship would be fleeting, yet have a lasting impact on the public perception of what constitutes a screen icon. 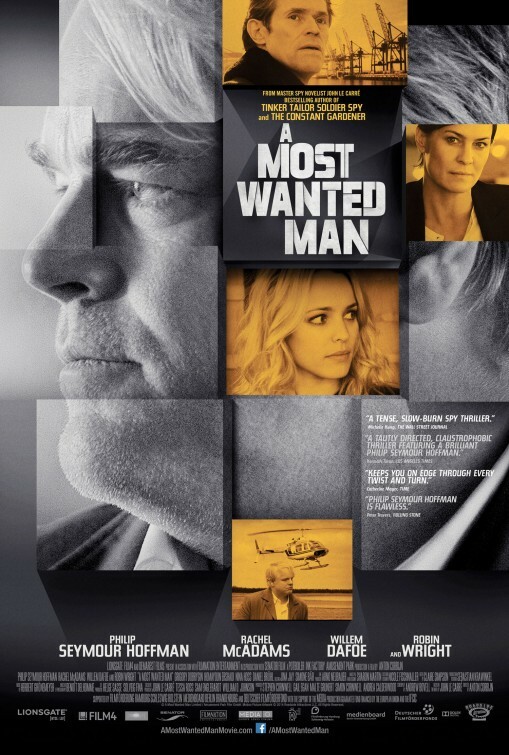 Recommended viewing for those that enjoy languid biopics without the wit or profound resonance often associated with films about hugely famous people. 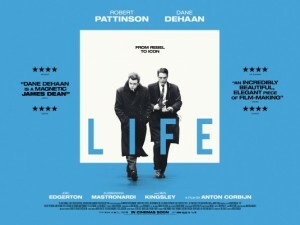 By no means a masterpiece, Life is certainly fascinating viewing and affords a moody opportunity to see DeHaan and Pattinson onscreen together.